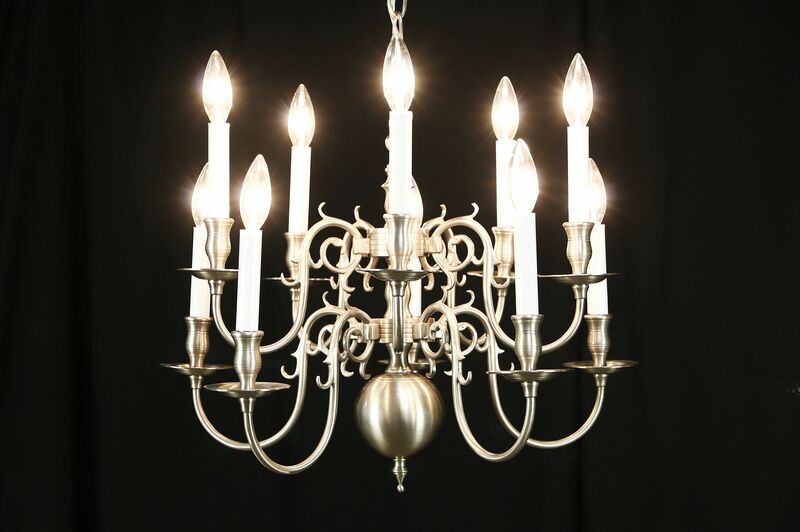 A traditional ten light two tier chandelier is superior quality and heavy weight with a brushed nickel finish, and is just a few years old. Candles fit standard candelabra base lamps, bulbs not included. Size is 22" diameter and 20" tall, excluding the adjustable chain and original matching ceiling cap.